My grandmother in Wisconsin recently mailed me a very amusing column clipping written by Joel Stein in TIME magazine called “Decolor My World.” It was essentially a satire piece highlighting the writer’s recent experience of selling his home and working with a Realtor and home-staging company similar to mine. Stein jokes that the first problem was their walls were painted in “personal colors.” I want to clarify that the answer is not “white” to correct this problem. White or vanilla walls are very sterile and can be just as bad in many cases as those personal colors. Instead I recommend warm yet neutral colors that will appeal to buyers. I am still having great success with Sherwin Williams Kilim Beige or Universal Khaki. If your rooms are smaller or lack natural light, go with the lighter of the two. I also often recommend tranquil spa-like colors for the master baths and even secondary bathrooms to differentiate the home. Stein next jokes that he had to take away all his “gross personal stuff” for several months and replace with fewer staging accessories. A few years ago Duke University conducted a study on the effectiveness of home staging. The top staging principle was that personal items need to be removed from bathrooms. These items include but are not limited to used bars of soap, razors and toothbrushes. 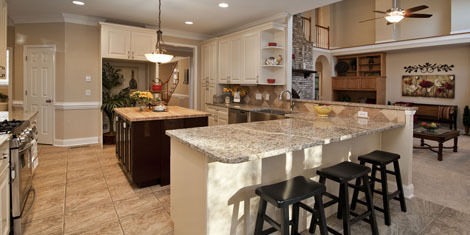 They create clutter, remind buyers the house is “used” and prevents potential buyers from imagining the home as theirs. The take-away from both his column and mine is that less is more when it comes to selling real estate. Fewer bright colors, less clutter and less furniture. Try to create a traditional setting when staging your home to sell — not too contemporary and not too antique. You want your house to appeal to as many buyers as possible of varying demographics. If you’re not sure how to accomplish this task, you can hire a home staging professional for a one hour consultation. He or she can create a home staging plan that you can implement yourself to save money. The ultimate goal of staging your home is to sell more quickly and for top dollar given current market conditions.